Get Garcia, Get Results: "It's Not My Parking Ticket"
NBC4's consumer investigative team helps a Torrance woman fight a parking ticket. Times were tough last April for Julie Salinas of Torrance. The single mother of two was unemployed, and behind on her rent. Click here to submit your tips to "Get Garcia, Get Results"
"I had nothing," Salinas said. She did have one thing, her car -- a 1995 Volvo station wagon, which she sold on Craigslist for $700. A month later, she received a $68 parking ticket in the mail for a street cleaning violation. That ticket was issued to the Volvo four days after Salinas had sold it. "I knew it wasn’t me, I didn’t have the car then," she said. Salinas sent the Parking Violations Bureau a receipt of the car’s sale, and a declaration stating the car was no longer under her ownership. She also called the DMV and confirmed the new owner had registered the car under his name. She then forwarded that information to the Parking Violations Bureau, but the city of Los Angeles still held Salinas responsible for the ticket. By the time Salinas asked for a hearing, she was told that the 21-day period to request a hearing had expired – as is city policy – and she could no longer contest the ticket. "I shouldn’t be paying for anything that I didn’t do," Salinas said. "And I’m very passionate about that." In the meantime, Salinas found a job that she could commute to by bus in nearby El Segundo. She assumed the new owner would ultimately have to settle the ticket when the car‘s registration was renewed. She was wrong. 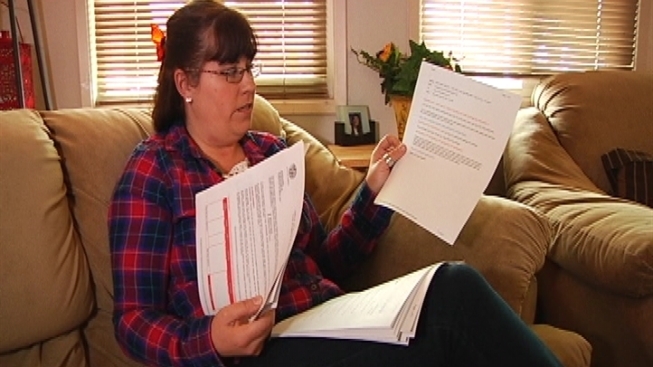 The city kept sending her notices and eventually the fee for the ticket nearly tripled to $185. In March she received a final notice. The city threatened legal action, including garnishing her wages if she didn’t pay the ticket within 20 days. That is when she sent an email to NBC4’s Ana Garcia. After a call from NBC4’s "Get Garcia Get Results" team, the Los Angeles Department of Transportation launched an investigation and arrived at the conclusion that Salinas was right. The LA DOT apologized to Salinas for the mix up and her name was taken off the ticket. They then waived all the penalties and the car's new owner paid the original $68 fine. First: if you sell a car, make sure you register the sale with the DMV, don’t just rely on the buyer. Second: to contest a ticket, the city says you must first pay the fine and then ask for a hearing. You only have 21 days from the date the ticket is issued to request a hearing. If you have a tip for the "Get Garcia, Get Results" team, call their tip hotline at (818) 520-TIPS.